A blog about travel, adventure, and more! After a full day of travel, we arrived in Dublin on Sunday! My first ever European adventure! This city is truly unique and beautiful and is a great introduction to Europe. 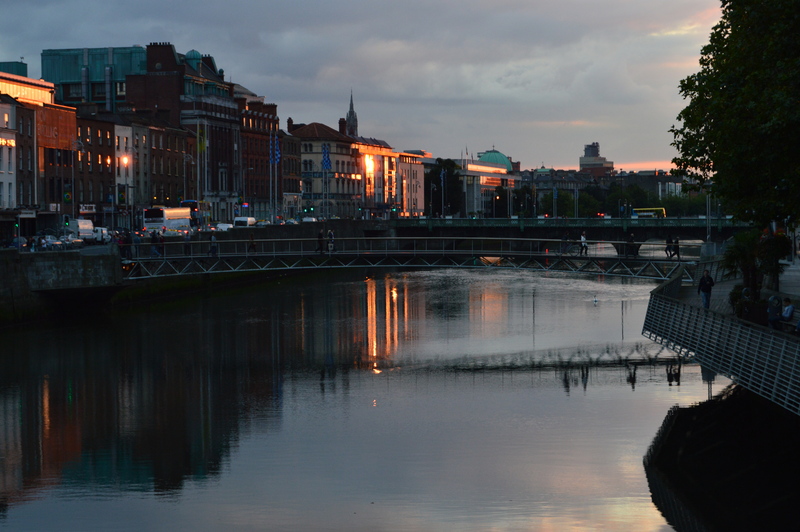 The city is bisected by the River Liffey and there are beautiful walking bridges connecting the North and South Sides of the city. Our apartment is on the North Side of the River, directly across from the Ha’Penny Bridge. Mostly everything is concentrated in the South Side (Temple Bar, St. Stephens Green, Trinity College, and Grafton Street, among others), however as our apartment is directly across from one of the walking bridges, the location is very central. The streets have a very European feel – narrow sidewalks with cobblestone streets. The feel of this city is different from any other city I have ever been to – probably because this is my first time stepping foot in Europe! The architecture in the city is bold and classic. 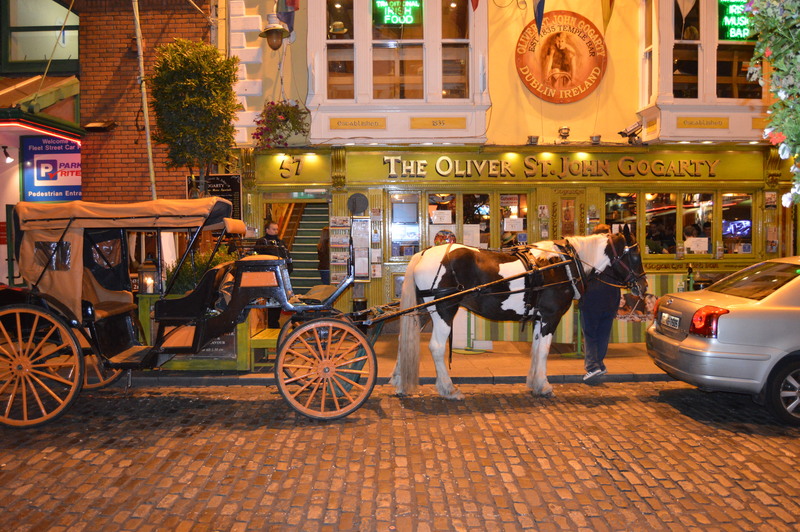 Upon our arrival on Sunday, we ventured out to the Temple Bar Area to get acclimated to the city! We had dinner at a lovely restaurant called “The Boulevard.” The waiters were unbelievably nice and friendly. They were engaging us in conversation, and were incredibly helpful in suggesting which parts of town we should see. After the restaurant, we strolled through the Temple Bar to drink our first authentic Irish Guinness! The streets were packed for a Sunday night as the hurling final was that night and the locals were clad in their jerseys cheering for their favorite team. More importantly for me, I was able to find the 49ers game on television in front of the Hard Rock! I caught a glimpse of the game before heading over to Merchant’s Arch to have our first sip of “the black stuff” in Ireland! 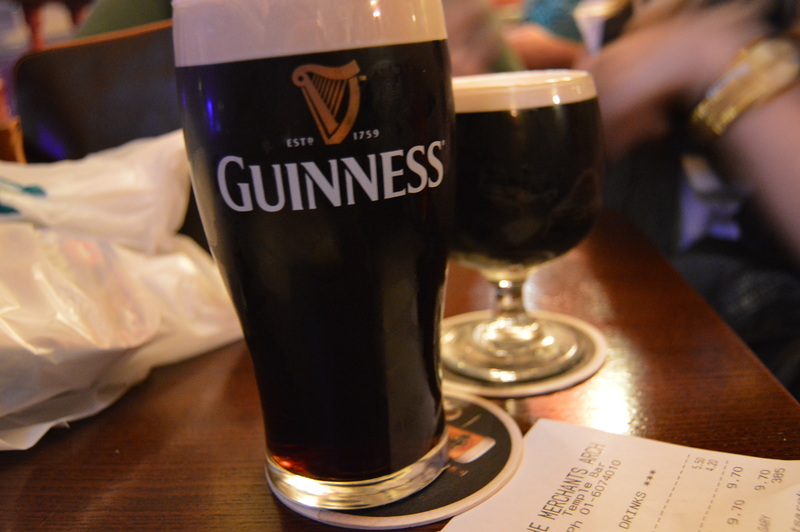 We drank a Guinness, listened to the authentic Irish band playing, and fed off the energetic atmosphere in the pub. A great first night in Dublin after a long flight! This entry was posted in Europe, Ireland by kboyanzhu. Bookmark the permalink.